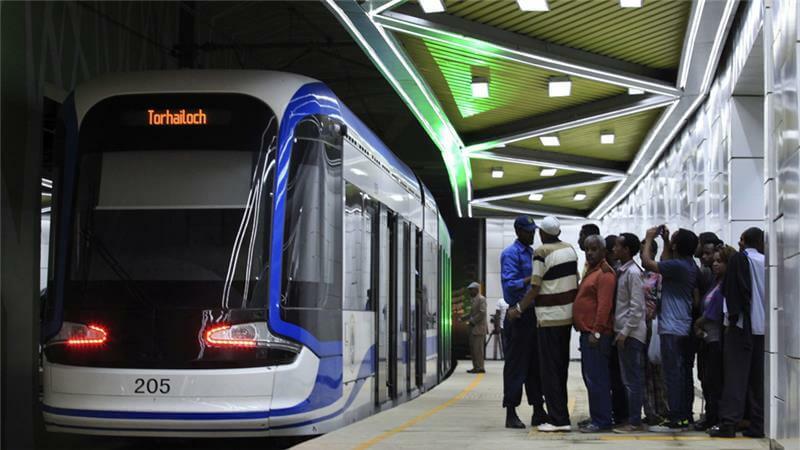 Ethiopia’s Addis Ababa Rail project opened last month to the delight of excited residents of the country’s capital. The $475m urban rail project – funded by China – is one of the most obvious examples of Beijing’s huge role in Ethiopia’s infrastructure development. The world’s most populous nation has also built dams, roads, and factories in Ethiopia, and even gifted Addis Ababa the African Union headquarters, which cost $200m. Ironically, though, the Marxist-inspired Ethiopian revolution of 1974 put a damper on the countries’ ties for the next 17 years. Ethiopia’s closeness with the Soviet Union meant its relations with China, then a Russian rival, were minimal. While media reports often speak of Africa-China ties as being based solely on China’s interest in the continent’s natural resources, that is not the case for resource-poor Ethiopia. Ethiopia’s deputy finance minister, Ahmed Shide, said the relationship with China is “based on changing people’s lives, on building infrastructure and enabling countries to eradicate poverty”. Ethiopia’s plans to take advantage of its plentiful manpower and become a light manufacturing hub is an extra incentive for China, he explained. For China’s part, an official from the Chinese embassy – speaking on condition of anonymity because he wasn’t authorised to talk to the media – said Ethiopia’s relative safety, low levels of corruption, efficient bureaucracy, and cheap production costs are driving China’s investment. This isn’t a one-way street, however. Although Ethiopian exports to China are relatively small, China wants Ethiopia’s agricultural exports, and rising production costs in China have spurred Chinese firms, such as Huajian, to build factories in Ethiopia, said the embassy official. Figures from the Ethiopian government show private operational Chinese investments from 1992-2015 stood at 16.2 billion birr ($773m), bigger than any other country’s investment in Ethiopia during this period. However, there are also negative views of China’s role in Ethiopia. Chinese goods suffer from perceptions that they are of low quality, and Chinese firms operating in the country have been criticised for not transferring knowledge to Ethiopians. Major work on expanding Ethiopia’s telecommunications networks by Chinese firms, such as state-owned ZTE, has been of poor quality at times, according to Gamora, who said this could be improved if the Ethiopian government was more transparent about the deals. But Gao Yan, ZTE’s public relations manager, dismissed talk of poor-quality work as “rumours”, and said ZTE operates according to international standards in Ethiopia, where it has been working for 15 years. Yan noted in less than a decade, the company has been able to increase Ethiopia’s mobile network capacity from 900,000 in 2006 to 20 million today, while also establishing 3G data networks. While China has already invested billions of dollars in Ethiopia, the country can also expect more through the “One Belt, One Road” initiative that China launched earlier this year focusing on economic cooperation and connectivity among nations.